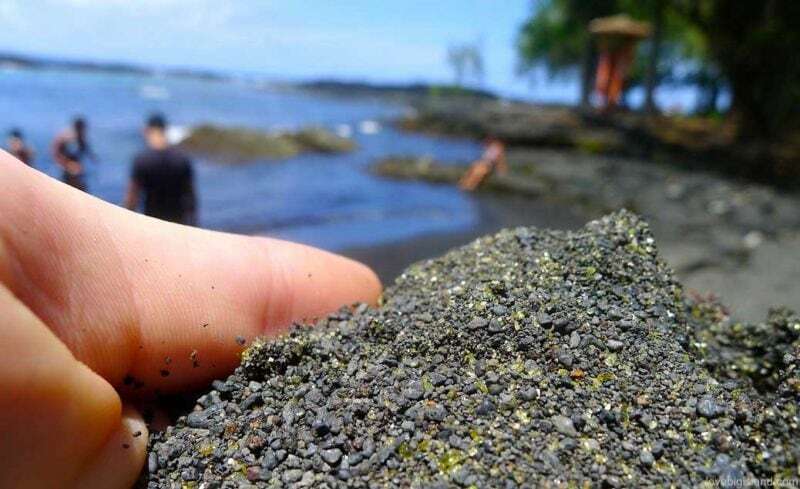 Richardson’s Ocean (or Beach) Park is the black sand beach closest to Hilo. 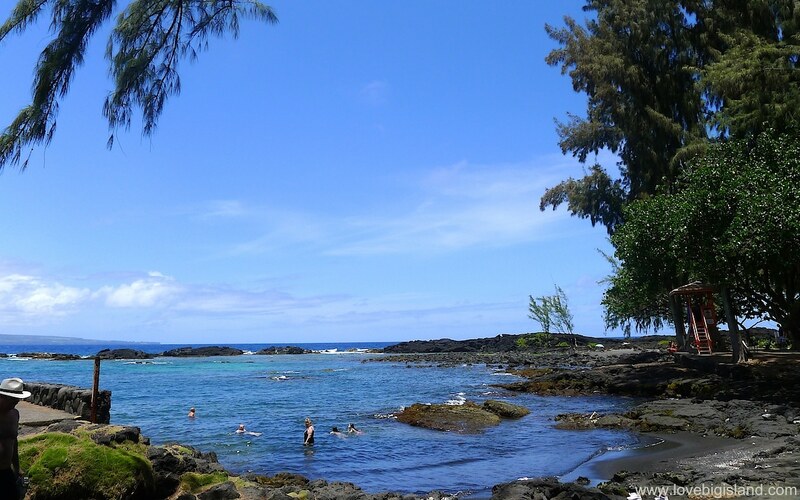 It is know to the locals as ‘Richardson’s’ and is the best choice for snorkeling on the East side of the Big Island. Richardson’s is also a great place to bring kids with its tide pools, calm water and picnic area. Richardson’s is part of a series of beach parks along Kalaniana’ole (south Hilo). Despite the closeness to Hilo, the weather you find at Richardsons is dryer and clearer than in town. Richardsons contains a marine conservation area. The ocean here is spring fed by freshwater that also forms many ponds both at the beaches and nearby. The spring water is cold, and the ocean water warmer. Combine this with shallow and almost current-free waters and you understand why this is such a good place for snorkeling. The park is open between 7 a.m. and 7 p.m., and has a lifeguard on duty between those hours. There are also picnic areas, showers, restrooms, parking, telephones, and ponds. Coming from downtown Hilo go east down Kalaniana’ole Avenue to reach a series of beach parks. The two most popular of these beach parks are Carlsmith beach park, popularly known as Four Mile after the mile marker, and Richardson’s, almost at the end of the road. Both Richardson’s and the Carlsmith beach park are very busy on weekends. If you want to visit during the weekend show up early to find parking or expect to drive up and down the road a while to find parking. Richardson’s Beach Park is part of a series of beach parks along Kalaniana’ole Avenue. 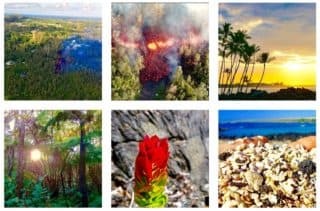 The other beach parks are Carlsmith Beach Park, Lele’iwi beach park, James Ke’aloha Beach Park and Onekahakaha Beach Co Park. See all beaches in Hilo.